Move your old sky dish and watch every F1 race fta on RTL Germany. Maybe not english audio but free. Am i missing something here, can't see any information. Are they showing this free for everyone? Or is this only for existing Sky customers (like every single other GP..)? Am i missing something here, can't see any information. Are they showing …Am i missing something here, can't see any information. Are they showing this free for everyone? Or is this only for existing Sky customers (like every single other GP..)? Every single GP isn't on Sky One, which far more people gave than Sky Sports. "Free" is a bit of a stretch though (but then again Prime gives "free" delivery, so...). Hey, all good to have options. Every single GP isn't on Sky One, which far more people gave than Sky …Every single GP isn't on Sky One, which far more people gave than Sky Sports. "Free" is a bit of a stretch though (but then again Prime gives "free" delivery, so...). Right, fair enough.. Sky customers only then, will stick with my nowTV passes! Move your old sky dish and watch every F1 race fta on RTL Germany.Maybe …Move your old sky dish and watch every F1 race fta on RTL Germany.Maybe not english audio but free. Sky has been showing F1 races free, if it is live on Channel 4. Bahrain, Baku races were also shown free on Sky One, when they are live on Channel 4. Was hoping to watch the UHD version free on Sky Q but it appears that's not the case. The race is broadcast live on RTL Germany, use a dab radio for english audio and adjusting if milliseconds out of sync. Not that F1 has anything exciting happening that a few milliseconds audio out of sync would effect. The race is broadcast live on RTL Germany, use a dab radio for english …The race is broadcast live on RTL Germany, use a dab radio for english audio and adjusting if milliseconds out of sync. Not that F1 has anything exciting happening that a few milliseconds audio out of sync would effect. Guess if u watched it enough in German you would become fluent in the German phrase" max Crashappen has crashed"
Unless they have Murray back I would prefer that option! Been 17 years, can't see him coming back now. 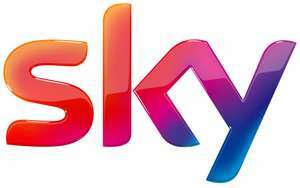 Sky has been showing F1 races free, if it is live on Channel 4.Bahrain, …Sky has been showing F1 races free, if it is live on Channel 4.Bahrain, Baku races were also shown free on Sky One, when they are live on Channel 4. Thanks - hadn't realised that and I much prefer the Sky broadcast and commentary over Channel 4. No commentary would be better than C4's diabolical torture. Hi mate, how do you do this? If you need a subscription to watch Sky in the first place, how is this 'free'????????? If you want RTL in HD you would need a HD+ subscription card which I think is €60 per year giving you access to all major channels in HD including sports 1 which shows you decent games and ice hockey. I am german so language isn’t the issue but agree that it might be hard to listen to german commentary for 2h. Mind you cheaper than Babel language course ;). I watch a bit of the RTL coverage when in Germany. in Parts of the race when there’s not much happening they’re not commentating. It’s refreshing, and if you need someone shouting at you all the time to tell you there may or may not be a pit top coming, well - I don’t want to be rude, so won’t be. Sky F1 is actually really good, really like the analysis they have. Why do you need analysis of a procession that you've just watched? That was one awfully boring race. Monaco should be axed from the calendar. Watching the paint dry channel was more exciting than this borefest that is F1. Monaco's ALWAYS a boring race, as are most others. The cars have outgrown the circuits. Either rebuild circuits to allow for faster accelerating, higher top speed cars, or reduce the acceleration and top speed of the cars, or pack the whole lot in. It's become yet another meaningless celeb fest with minimal entertainment value. There was more overtaking and excitement in the Donington WSBK races yesterday and today than you'd get in 100 Monaco GPs. As you don’t pick up everything whilst it’s on live. Same reason every other sport have analysis. As you don’t pick up everything whilst it’s on live. Same reason every oth …As you don’t pick up everything whilst it’s on live. Same reason every other sport have analysis. I can't really recall anything being discussed that hasn't been seen live. They just stretch it out and talk it to death to justify their existence. Bit like golfers at the nineteenth hole. I disagree, we don’t see everything live which is why they have replays on specific things that happen they also have teds netbook which is great too. Personally I’ve always liked Sky F1 coverage and hope it stays as it is. Not a fan of channel 4’s coverage personally.